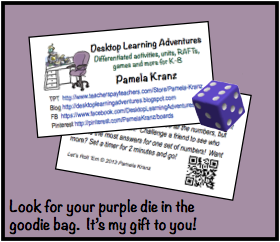 Welcome, teachers of Northern California, and everyone else who happens upon my little corner of cyberspace! I've been very busy getting ready for your visit from the Northern CA Teacher's Conference. I've straightened and dusted all the shelves, restocked items, swept the floor- I even washed the windows! Not only that, I baked cookies (can't you just smell them?) to go with the iced herb tea on the table in back! It's a small store, but good things come in my packages. 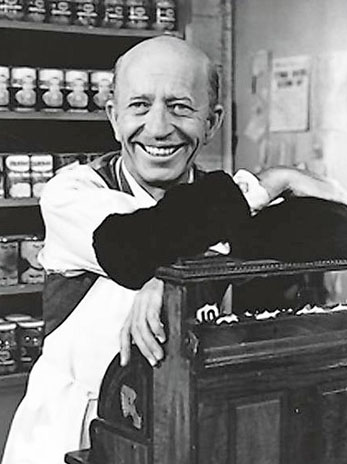 As I typed that, I thought of Sam Drucker, the friendly store owner on Petticoat Junction. Remember him? All you youngsters out there who have no idea who I'm talking about, feel free to Google him. I'll wait. ;) (Geeze, I sound like I'm 112 years old!) Anyway, it was a warm, fuzzy visual for me. Let me introduce myself- I am a visual-spatial. It's how I learn and it's how I taught. I have to say, it wasn't really a conscious decision on my part. It just made sense to present concepts and curriculum that way. My students, the ones who were also highly visual-spatial, appreciated that approach. (I seemed to end up with a lot of boys, in particular.) The others learned to appreciate it and were able to exercise another part of their brain. I firmly believe learning should involve an element of play, whether it's in a game situation, a simulation, or a project-based learning opportunity. Many of my products have a let's-pretend-this-is-real-life feel with a touch of play infused in them. (I just visualized my kindergarten experience- We had a playhouse with a kitchen. So fun!) When you check out my RAFTs, math games that reinforce problem-solving and skills, as well as my activities and units, you'll find most all of them involve some kind of real-life connection and/or an element of play. It's nice that this conference happened to be this week, as it's a very special week for Teachers PayTeachers. We're celebrating 3 million educator members with a big site-wide sale. It's a perfect time to drag out your wish list (if you're already one of the 3 mil) or explore the site (if you're member 3,000,001), and save up to 28% off with the special code, TPT3, used at check out. That sale ends Friday at midnight, eastern time, but my sale will continue through Saturday. Thank for stopping by. Hope you enjoy your conference!